At most ten minutes of measuring, chopping and mixing followed by at least 30 minutes of soak time, the perfect amount to enjoy an avant le dîner cocktail. 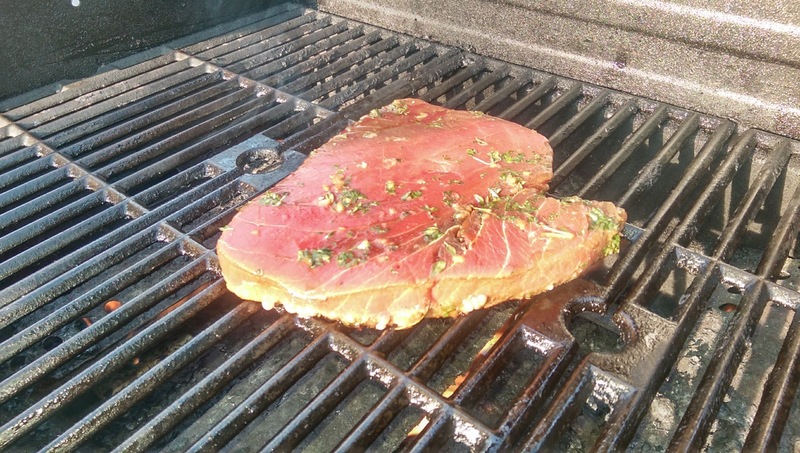 Tuna is very dense and this one pound steak was more than enough for two people. Don't let the summer set before you give this a try.